*COVETED VILLA MONTEREY TOWNHOME *HISTORIC DESIGNATION *RARELY AVAILABLE TWO CAR CARPORT *55+ COMMUNITY *3 BEDROOMS (2 MASTERS) & 3 FULL BATHS *BRIGHT & SPACIOUS FLOORPLAN IS NEARLY 2300 SQUARE FEET *DELIGHTFUL COUNTRY KITCHEN FEATURES UPDATED WHITE CABINETS, GRANITE COUNTERS, LARGE ISLAND, UPDATED APPLIANCES, DINING NOOK & SKYLIGHT *DEDICATED DINING SPACE *SPACIOUS LIVING ROOM EXPANDED TO INCLUDE DEN W/WALL OF WINDOWS *GORGEOUS GRAY SLATE TILE FLOORING *COLORFUL ARTIST DESIGNER ACCENTS THROUGHOUT *ALL DUAL PANE WINDOWS, NEWER EXTERIOR & INTERIOR PAINT *MAIN LEVEL FEATURES MASTER BEDROOM W/BARN STYLE SLIDER, EN-SUITE FULL BATH & 3 CLOSETS! *ADDITIONAL BEDROOM & FULL HALL BATH ALSO ON MAIN *UPSTAIRS MASTER IS LIGHT & BRIGHT W/PLANTATION SHUTTERS, UPGRADED BATHROOM & WALK IN CLOSET! Directions: SOUTH TO COOLIDGE, THEN WEST TO HOME ON NORTH SIDE OF STREET. Partial roof update in 2013. Approximate size: 3767.00 sq. ft.
HOA name: Monterey Park Assoc. 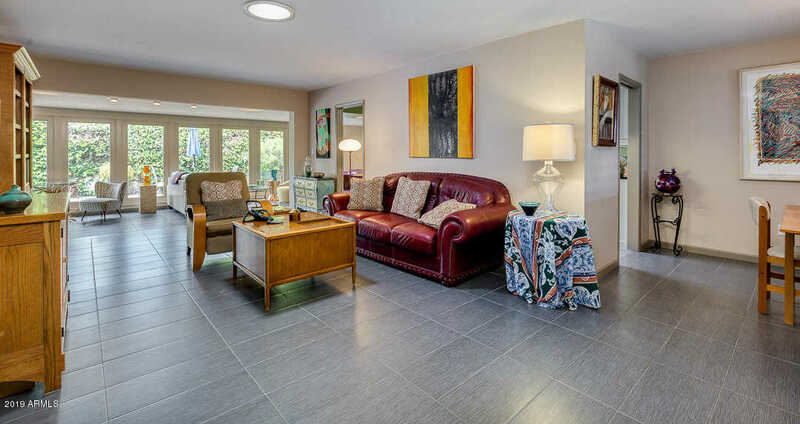 Please, send me more information on this property: MLS# 5908323 – $388,000 – 7810 E Coolidge Street, Scottsdale, AZ 85251. I would like to schedule a private showing for this property: MLS# 5908323 – $388,000 – 7810 E Coolidge Street, Scottsdale, AZ 85251.